The PDF Technical Conference was organised by the independent PDFassociation and held this week March 27-28, 2012 in Basel, Switzerland in the rooms of Adobe. PDF experts from around the world meet there to talk about hot new stuff and to discuss technical details in a friendly atmosphere. In the following text I will highlight some of the talks. Andreas Kraushaar from Fogra gave a talk about spectral imaging and why it is a good thing to support that inside PDF spot colours for packaging. Most of the time the number and kind of inks used for packaging is rapidly changing. So colour profiling the ICC way means a waste of too many time and material as it is not flexible enough for that. Embedded spectral data based recipes for rendering spot colours in supporting applications can improve speed and handling considerably. Two talks elaborated on transparency in PDF. I found it amusing that the concept of a blending colour space is as well in the PDF community still a hot topic. But of course rendering to offscreen bitmaps instead of traditionally one final output buffer is quite different and developers agreed to find implementation sometimes not easy. 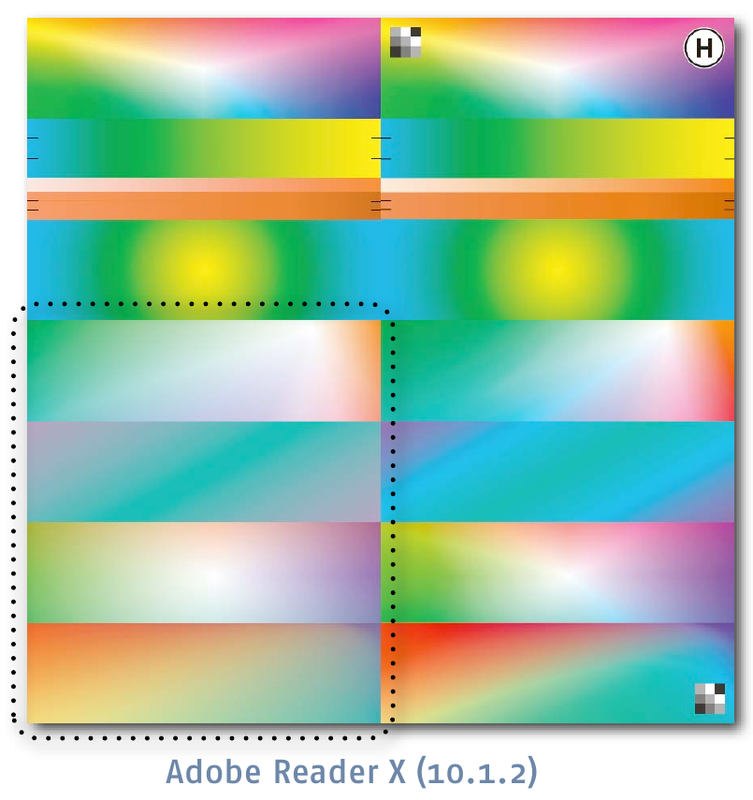 And yes, there are many PDF viewers around, which blend Cmyk and RgbA together in one go ignoring any blending space requirement. Florian Süßl from zipcon presented the well known ECI Altona Test Suite 2 now covering PDF/X-4 including transparencies. He elaborated on the work involved on how to create all the tests following the PDF-1.7 spec. He gave some examples where the various PDF renderers failed certain test. This is again a very valuable tool for developers of PDF software. It would be cool if such a test suite becomes part of the specification itself as is usual with other standards to help verifying implementations. Following the topic of quality testing, David van Driessche explained the GWG test suite. I would find it really cool to embed GWG tests into a dedicated PDF document page for checking reproduction capabilities by layout applications like Scribus. That feature would be helpful for critical viewing and to easily test proofing software. The conference was beside sometimes very full rooms a well organised and interesting event. This entry was posted in imaging, KDE and tagged colour management, PDF, printing, Qt, w3c by oyranos. Bookmark the permalink.